Hawkwind’s ‘Damnation Alley’ from the album Quark, Strangeness and Charm (1977) was inspired by Roger Zelazny’s novel Damnation Alley (1967) — which chronicles a suicidal voyage (in an armored vehicle) across post-apocalyptic America replete with police states. 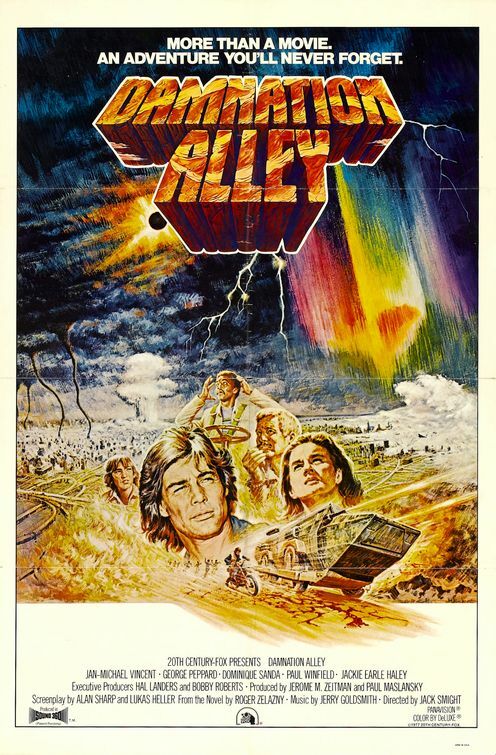 The novel also inspired a rather atrocious 1977 film by the same name (Damnation Alley, 1977 — imdb link) which I’ve yet to see. I think Quark, Strangeness and Charm is probably Hawkwind’s best album…. Have you seen the movie Damnation Alley? Very cool post! I’m not sure how I missed Hawkwind – the track you have linked reminds me a lot of Brian Eno’s early music. 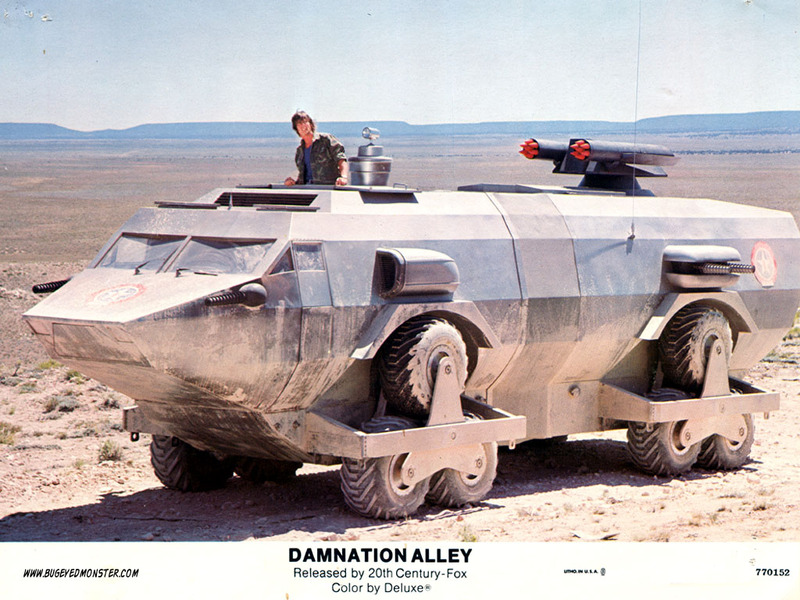 I’ve yet to see Damnation Alley – something to add to my ever growing list of films to see! I haven’t read this one,but I’m sure it arose from a short piece Zelazny wrote.I get the feeling that the shorter one would be better,and more worthwhile reading than the novel…..I don’t know.